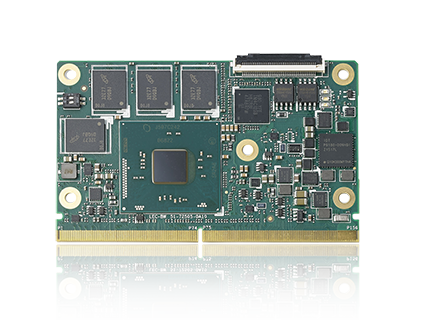 SMARC® vs COM Express® COM Express® is a very successful computer-on-module (COM) standard that is optimized for PC architecture based embedded systems. The COM Express feature set exploits contemporary PC chipsets very well. There is support for numerous USB ports and PCI Express lanes, PCI Express graphics, LPC bus and PCI bus, as well as power pins supporting over 100 watts. 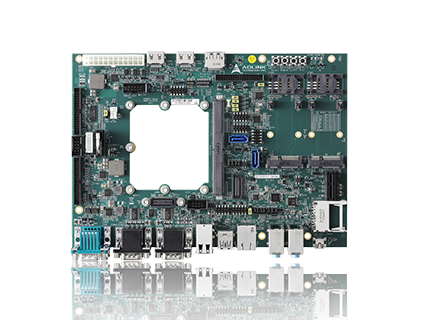 The SMARC specification targets lower power, small form factor systems. The SMARC pin out is optimized for features common to ARM CPUs rather than those of the PC architecture. Some of these features include parallel LCD display interfaces; provisions for serial and parallel camera input; multiple I2C, I2S, SPI and serial port options; USB client/host mode and OTG (on the go) operation and SD/eMMC card operation. 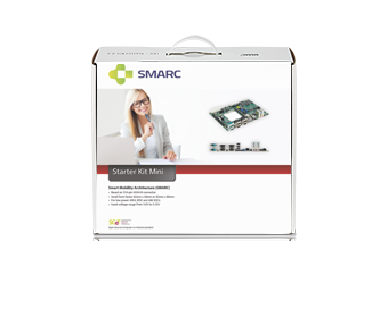 The SMARC specification also includes some of the features found in COM Express, such as a limited number of PCIe, SATA and USB ports, but provides a combination of interfaces that allows many features of interest not supported by COM Express to be made available for contemporary mobile applications. This Starterkit gets you going with Carrier Board Design and Software Verification in no time. To be used for LEC-iMX6, LEC-BT, LEC-BTS or LEC-BW modules.